A 46-year-old man from New South Wales has been fined $2000 and ordered to pay $9735 in court costs after being convicted of illegally possessing 29 native reptiles. Neil Andrew Simpson, 46, was apprehended at Perth Airport on April 25 last year after officers from the Department of Environment and Conservation (DEC) intercepted the illegal consignment of reptiles which had been flown to Perth from Newman and were scheduled to be put on a flight to Sydney. The consignment included a death adder, geckos of various species, dragon lizards, a blue-tongue lizard and pythons. The reptiles were concealed in plastic containers. Simpson was convicted this week in the Perth Central Law Courts following a two-day trial. There was also a second conviction in the Perth Magistrates Court this week, when a 33-year-old Nollamara man was fined a total of $600 and ordered to pay $110 in court costs for illegally keeping a 2m south-west carpet python at his home. Rikki James Piromalli pleaded guilty to possessing and keeping the carpet python in captivity without authority. The snake is a specially protected species in WA. DEC prosecutions coordinator Gail Ritchie said he was charged following a search warrant executed by WA Police on his property in January this year. Ms Ritchie said wildlife smuggling was an ongoing problem and removing protected fauna from the wild had serious implications. 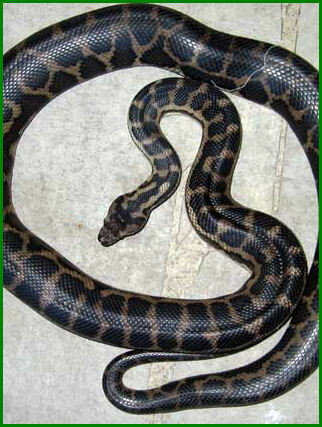 “In the Piromalli case, the carpet python cannot be released in a different location from where it was taken due to the possible effects on the local gene pool of this species. It also poses a risk of introducing disease to wild populations, but we will ensure that it is appropriately cared for,” she said. Under the WA Wildlife Conservation Act the maximum penalty for taking or possessing and keeping specially protected fauna is $4000. Anyone who has information about the illegal removal of reptiles or notices any suspicious activity suggesting that reptiles are being illegally moved should call DEC's Wildcare hotline 9474 9055.